I have been lucky enough to be associated with the local Branch of the Oxford Diocesan Bell Ringers Guild for a number of years now. Not because I am a bell ringer myself, but because I enjoy their annual outings to visit churches elsewhere in the Diocese or beyond, to ring the bells at different towers, and have a good pub lunch! BBC Four - Still Ringing After All These Years: A Short History of Bells. All of our Shelswell churches have at least one bell. Sadly, only one has a team of bell ringers and rings for services every week (Stratton Audley). Finmere and Stoke Lyne have ring-able bells but no regular bell ringers. Mixbury and Fringford need work to their bell installations to allow proper ringing, though their bells can be tolled. Ideally (in my personal view!) a bell should always be rung or tolled before the Sunday service. This custom seems to have fallen somewhat into abeyance, which is a shame as it is a way to let the community know that worship continues in the village, and all are invited to come and be welcome. It would be good to make sure in future that the bell is tolled before worship. It is not hard to learn how to do it. For instruction, or even to learn proper change ringing, volunteers would be welcome at Stratton’s Audley’s tower where Jeremy Adams, the Tower Captain, would teach them. At eight o'clock, the lights in the auditorium began to dim, the spotlights came on, and only then did they notice the boy - up on the piano bench, innocently picking out "Twinkle, Twinkle Little Star." His mother gasped in shock and embarrassment but, before she could retrieve her son, the master himself appeared on the stage and quickly moved to the keyboard. In all our lives, we receive helping hands - some we notice, some we don't. Equally we ourselves have countless opportunities to provide helping hands - sometimes we would like our assistance to be noticed, sometimes we don't. Little of what we all achieve is without learning from others and without support from others and what we receive we should hand out. Looking Forward with Anticipation or Apprehension? The month of January is named after a god Janus who was worshiped in ancient Rome. The Romans believed he watched over doors, passages, gates, walkways, and endings. He was often shown as having two faces, one looking forward; the other looking backwards. Looking backwards may be a more comfortable option at the start of 2019, with a sentimental longing for some idealised past … when Christmas wasn’t fraught or commercialised, or when we managed to keep our New Year resolutions, or when we knew all our neighbours, or when we were not in the EU (…. or whatever you feel nostalgic about). However, it has been well said, ‘The memory, in short, is a sieve through which the pains, annoyances, and boredoms of the past slip easily away, while its pleasures are retained and glorified’. Looking forward seems much more uncomfortable. As I write, the Prime Minister has survived a vote of no confidence, but who knows what will be happening by the time Shelswell News is published and distributed? How do we find stability in a world that is constantly changing? People change; relationships change; families change; neighbourhoods change; politicians change, circumstances change; churches change, financial situations change; health changes. May these assurances hold true for us in the coming days, whatever is happening near to us or in the wider world. - the Christmas we spent in a cottage in Teesdale, away from it all, with only what we could fit in the car, the food shopping done on Christmas Eve in a local supermarket – enjoying a simpler, freer Christmas. No mention of ‘the time I got a barbie coach / mobile phone / furby / polly pocket / play mobile pirate ship. No mention of ‘the time the Christmas dinner featured that amazing array of stuffings’ or ‘the table was just perfectly set’. Not even a mention of the expensive trips to see Father Christmas. But just time spent together, doing those Christmassy things together. It seems to me that at the moment the world is full of so much uncertainty and anxiety that we need to remember what it is that really matters. That is not to say that say that what happens – or doesn’t happen – with Brexit isn’t important. It is – and many from industry to hospitals, from businesses to farmers are understandably worrying about the impact it may have. But amidst all the anxieties, the confusion of customs union and transition arrangements and backstops, and the threats of ‘no deal’ and cliff edges, let’s remember the good things in our lives, the things that go towards making memories, the things that bring us fulness and joy. At Christmas we have so much to celebrate – Christmas brings us the message that God loves each one of us enough to become one of us so that we could know his presence in our lives, know the joy and peace and fulness of life that he brings. At a time when we remember God crossing the gulf that separates us, let’s enjoy it, but not by stressing ourselves further with too much expense, heavy and unrealistic expectations but by spending time enjoying one another’s company, enjoying a simpler freer Christmas. So have yourselves a very merry Christmas and a peaceful New Year. November is a time for remembering. 1 November is ‘All Saints Day’; 2 November is ‘All Souls Day’ when we remember the departed; 5 November is a ‘secular’ remembering - Guy Fawkes Day - and on 11 November we will mark 100 years since the end of the Great War. Of all the ‘rememberings’, 11 November is probably the most poignant as we think of the millions from so many countries who died on the various fronts, from the trenches in Belgium, to the mountains of Greece, to the beaches of Gallipoli. ‘Lest we forget’ will be the theme, and many words will be spoken about the horrors of war, the bravery, the sacrifices, the respect due, and ‘it must never happen again’….. But here we are, 100 years on, wars raging in many parts of the world, soldiers dying or receiving terrible life-changing injuries, civilians suffering and dying, and the major nations possibly initiating a new arms race. 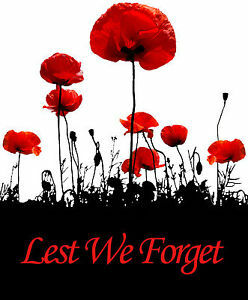 We do remember – but, alas, we also ‘forget’. We say “it must never happen again”, but do little to create a climate in which ‘reconciliation’ is the aim, not ‘winning’. People often scoff at Christ’s teaching – “love your neighbour as yourself”, “turn the other cheek”, “go the second mile” – considering it unrealistic “if you give an inch they’ll take a mile” …. Our human nature strongly resists the idea of taking the interests of other people into account rather than putting our own interests first. But if we do not want war and strife, we need to put effort into learning the skills of negotiation that might bring about peaceful solutions to problems. And this applies to the whole gamut of human relationships from the family, to friendships, to the work place, the village, the town, the city, the nation, as well as internationally.